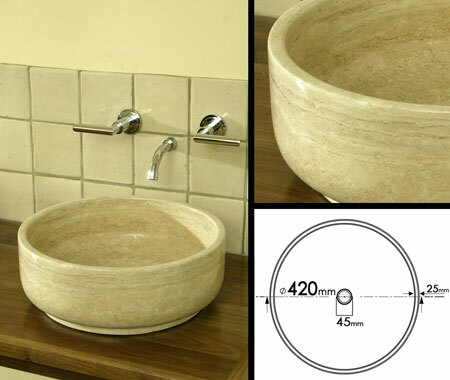 This exclusive creamy beige stone sink is made from a solid piece of solid European travertine. Each stone basin is designed for counter top installation in high quality bathroom design. * Made in solid Travertine marble.